Domain hosting company GoDaddy said Monday that neo-Nazi website the Daily Stormer has 24 hours to find a new provider before its service is canceled following the publication of a disparaging article about the woman killed in the Charlottesville protests. Shortly after the announcement, the Daily Stormer — the top hate site in America, according to the Southern Poverty Law Center — appeared to be hacked by activist group Anonymous. 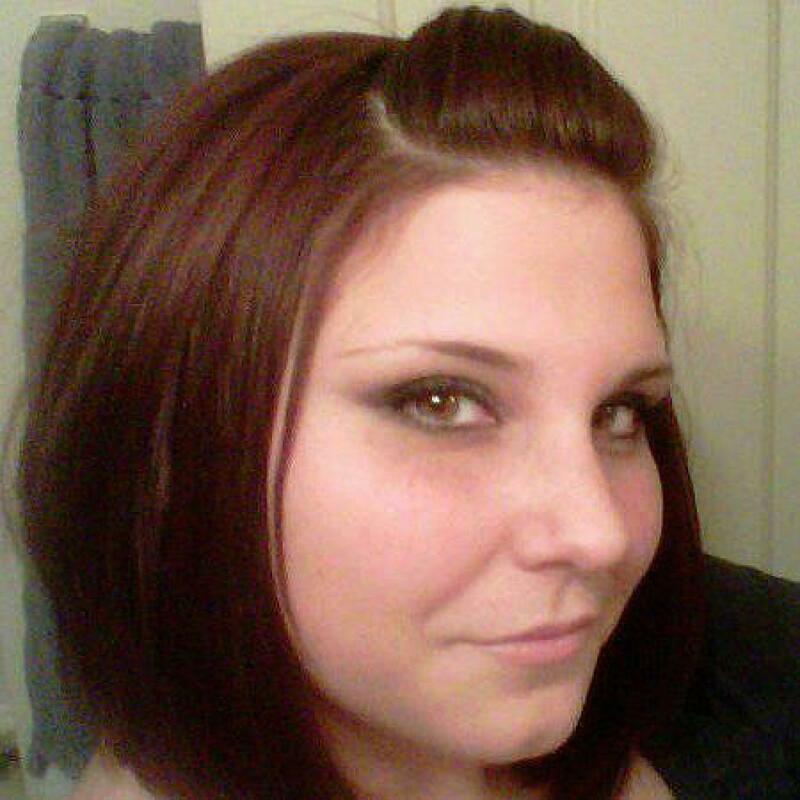 On Sunday, the Daily Stormer published an article about Heather Heyer, who died after a vehicle plowed into a group of counter-protesters demonstrating against white supremacists. A Twitter user flagged the offensive content by taking a screengrab of the article, and tweeting it at GoDaddy. The article, which had the byline of the Daily Stormer's founder Andrew Anglin, mocked Heyer’s looks and degraded her for not being a mother. “We have informed the Daily Stormer that they have 24 hours to move the domain to another provider, as they have violated our terms of service. If no action is taken after 24 hours, we will cancel the service,” GoDaddy spokesman Dan Race wrote in an email to NBC News. Race also noted that GoDaddy does not host the Daily Stormer on its servers — it only hosts the domain. The Daily Stormer, which takes its name from the gutter Nazi propaganda sheet known as “Der Stürmer,” promotes anti-Semitism, neo-Nazism, and white nationalism, according to the Southern Poverty Law Center. In the past, GoDaddy said it could not disable the Daily Stormer’s domain or that of other neo-Nazi website, because of Anglin and others’ First Amendment right and freedom of speech. “Given their latest article comes on the immediate heels of a violent act, we believe this type of article could incite additional violence, which violates our terms of service,” Race said. By Monday afternoon, the Daily Stormer had moved its domain from GoDaddy to Google, according to Reuters. A search of Internet domains on Monday listed Alphabet Inc's Google as registrar for The Daily Stormer, Reuters reported. Representatives with Google could not immediately be reached for comment. Following the article about Heyer and the announcement that GoDaddy would be ending the Daily Stormer’s service, the site appeared to have been hacked by internet activist group Anonymous. Later on Monday, a story on the Daily Stormer with Anglin's byline on it said the site was back in the hands of its founder. Google has taken up hosting of the hateful Daily Stormer blog as GoDaddy decided to cut ties with the neo-Nazi site after the Charlottesville attack. A spokesman for GoDaddy Inc. said the Daily Stormer violated its domain registry terms of service for its treatment of Heather Heyer, a 32-year-old who was protesting against the “United the Right” nationalist rally when neo-Nezi James Fields plowed his sports car into a group of demonstrators. GoDaddy’s Monday morning decision meant that the site and its article, labeling Heyer as “fat,”“childless” and saying she had neglected "her only duty" to have children, would be kicked offline in 24 hours. But alt-right entity later found refuge for its hate with the nation’s largest search engine, and multiple domain search websites now show that the site is now hosted by Google Inc. The company had not commented publicly on the change as of Monday afternoon, though GoDaddy said that the site could lead to more attacks. "Given this latest article comes on the immediate heels of a violent attack, we believe this type of article could incite additional violence, which violates our terms of service,” GoDaddy spokesman Dan Race said in an email to the Daily News. The article was penned Sunday by Daily Stormer founder Andrew Anglin — a neo-Nazi extremist and “prolific Internet troll,” according to the Southern Poverty Law Center. His readers have included convicted Charleston killer Dylann Roof and James Jackson, the man accused in the hate slaying of a black man earlier this year in Midtown. Race said GoDaddy does not host the site’s content on its servers. Google was named in May by ProPublica among companies that had already refused to do business with Anglin and his Daily Stormer venture, and it was not immediately clear if any policies at the firm had changed. The domain switch comes after a supposed cyber takeover pinned on the hacktivist collective Anonymous. A suspicious post plastered on the front page of the neo-Nazi hangout said the site was seized as retribution for disrespecting Heyer, and appeared shortly after GoDaddy announced its 24 hour deadline. “This site is now under the control of Anonymous,” the message claimed. “For too long the Daily Stormer and Andrew Anglin have spewed their putrid hate on this site. That will not be happening anymore,” the alleged hacktivists wrote, warning readers that the Daily Stormer would not be around for much longer. By the afternoon, however, the site posted a message saying that the alleged hack was over and that Anglin was now back in control and saying that Anonymous was infringing on his free speech. Twitter accounts associated with Anonymous said that the supposed hack was a “false flag” operation as the Daily Stormer anticipated its own shutdown. The Daily Stormer, a white supremacist and neo-Nazi website, needs to find another domain name provider after GoDaddy gave it the boot following a derogatory story about the woman killed at the Charlottesville, Virginia, rally. The site, which calls itself "The World's Most Genocidal Republican Website," registered its name with GoDaddy -- but GoDaddy doesn't host the Daily Stormer's content. Nevertheless, the company said it wants nothing to do with the site following a piece on Heather Heyer. Heyer died after a car rammed a crowd of counter-protesters gathered to oppose a "Unite the Right" rally of white nationalist and other right-wing groups. "We have informed The Daily Stormer that they have 24 hours to move the domain to another provider, as they have violated our terms of service. If no action is taken after 24 hours, we will cancel the service," GoDaddy spokesman Dan Race told CNN in a statement. "Given their latest article comes on the immediate heels of a violent act, we believe this type of article could incite additional violence, which violates our terms of service." An article posted on the Daily Stormer called Heyer "fat and a drain on society." "Despite feigned outrage by the media, most people are glad she is dead, as she is the definition of uselessness," the story said. "A 32-year-old woman without children is a burden on society and has no value." According to the Southern Poverty Law Center, "the Daily Stormer is dedicated to spreading anti-Semitism, neo-Nazism, and white nationalism, primarily through guttural hyperbole and epithet-laden stories about topics like alleged Jewish world control and black-on-white crime." The SPLC, which tracks hate groups, says the unapologetic hatred on the Daily Stormer -- which also takes aim at African-Americans and opponents of President Donald Trump, for example -- is a catalyst for division. A post on the website's homepage claimed that it had been taken over by hacktivist group Anonymous. However, most links to previous posts were still active, and a tweet from an account associated with Anonymous said it could not confirm that the group was involved. Andrew Anglin, the creator of the site, praised President Donald Trump for not specifically blaming neo-Nazis and white supremacists following the Charlottesville rally, saying "he loves us." Trump said on Saturday "we condemn in the strongest possible terms this egregious display of hatred, bigotry and violence, on many sides. On many sides. It's been going on for a long time in our country. Not Donald Trump, not Barack Obama. This has been going on for a long, long time." The outcry against the President's remarks was long and loud and crossed party lines for failing to single out and condemn white nationalists. Anglin blogged that Trump's comments were "good." "He didn't attack us. He just said the nation should come together. Nothing specific against us. He said that we need to study why people are so angry , and implied that there was hate on ... both sides!" Anglin wrote. "There was virtually no counter signaling of us at all. He loves us all." GoDaddy, headquartered in Arizona, says it is the "world's largest domain name registrar" and "hosts more than 10 million websites around the world." 0 Response to "GoDaddy to Pull Plug on Daily Stormer After Article Mocks Charlottesville Victim"